Staff photographer and columnist Saffron Eugea shows off her Dutch braid as a part of her article. The dutch braid can be used in many different ways, including the way it is shown in the image. "Don’t forget to check out all of the other incredible things on Groom Tiger Times written by Groom’s very own students!" eighth-grader Eugea said. Hey, guys! Saffron here. Today, I am going to teach you how to do a “Dutch Braid.” If you read my last blog, you might have learned how to do a regular and a French Braid. Once you have mastered the French braid, you are ready to move on to the Dutch braid. 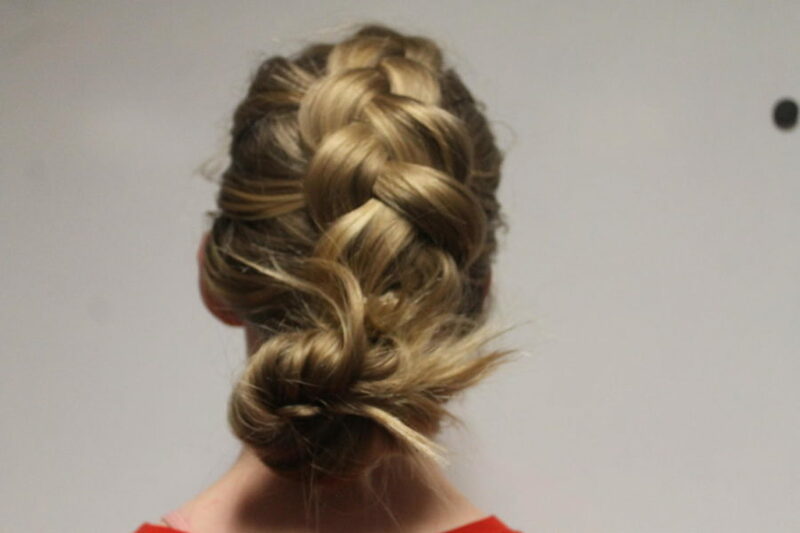 If you have never heard of a Dutch braid, it’s pretty much an inside-out French braid. To begin, take about a 1-inch-to 2-inch-diameter section of hair at the top of your head and split it into three pieces. Then, instead of taking the outside piece over the middle, take the outside section and switch it under the middle. Do the same with the other side, still taking it under not over. Once you have done that, do it again, adding hair to the outside piece before switching it under the middle. Continue this pattern until you have no more hair to braid. Then, tie it off with an elastic. –Okay, that’s all! Check back to Groom Tiger Times to get updated on more tips and tricks, and don’t forget to check out all of the other incredible things on Groom Tiger Times written by Groom’s very own students! Until next time, see ya!